The problem looks like it's with 2.73 specifically (this thread discusses it: http://blenderartists.org/forum/sho...orting-add-ons). I added ensure_lookup_table() and it seems to work now. I don't know python, so don't know if it has other repercussions or is needed other places as well. Thank you again for all your resources! #202 29th Jun 2015 at 10:00 PM Last edited by FozzerBear : 10th Jul 2015 at 3:55 AM. First of all, thanks for making this. But...I have a problem and I'm stuck. Exporting in S3PE gives me _filebase.s3m2b files of 0 kB and group00.s3m2bg files of some size which the Blender plugin doesn't load. Tried everything and Googled for hours. EDIT: I've found the solution myself. Although I thought it was a totally different problem I edited the python script like the above poster did(thanks a 1000 times jen1731!). I opened the 0 kB file and I got...tadaaaaa! An end table in Blender. So it works. I don't know what the 0 kB file does. Does it only point Blender to the bg files? I mean, I can't see anything in it when opening them in a text editor??? 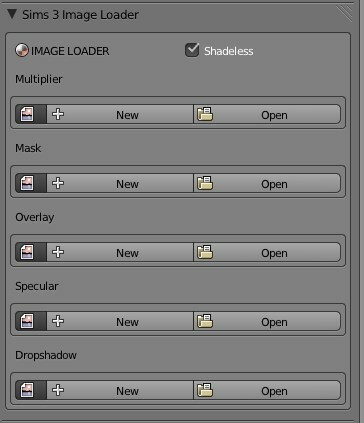 EDIT: For those that are also new to these tools: when exporting you have to save over the old .s3m2b files. The script can't generate new files itself. (Just something that puzzled me for a while). I'm using windows 10 now and I hope that doesn't have something to do with it. 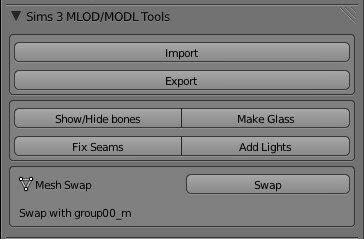 I've installed several different builds of Blender and still only saw the MLOD/MODL tools. Can you make a plugin compatible with TSR Workshop please, I've tried every thing but it just doesn't seem to work for me. �n azt�n nem leszek seggnyal� a faszt a sz�tokba !!!!! Way coooool!!!! Thanks so much!!!! Has anyone gotten geostates to work with these tools? 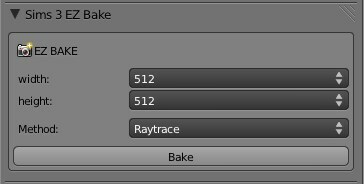 I can import an EA object with geostates and edit their meshes using the Geostate Editor, then export back into .s3m2bg without Blender showing any errors. However, when importing this back into S3PE, the import fails with "Object reference not set to an instance of an object". On inspection of the .s3m2bg files themselves, no geostates seem to have been written by Blender at all. Looking at the Python itself, the export code for geostates seems to have been commented out. What's going on? I too had to edit the .py file to get the plugin to initially import s3mb3 files, according to jen1731's post. I currently use Blender 2.78. What I wanted to do is create a new children's toy by using the rigged teddy bear as a reference object. I made the mesh beforehand and exported it to .obj format. Then I created a new project in Blender and imported the teddy bear s3mb2 file with the importer. Then I imported the .obj mesh. I swapped the bear mesh for my edited mesh using the swap function provided with the mlod/modl tools, then edited the rig. My mesh has a different body structure than the bear, so I rearranged them to fit the new mesh. The bones also had no parents when initially loading the project, so I set up a parent/child status where it made sense to make the bones move with each other. I then recalculated the vertex weights (bone assignments) on the mesh according to the new rig. Whenever I try to export by overwriting the original s3m2b file, according to FozzerBear' post, I get an error message. Exporting without overwriting does not work, either. I also get this error message whenever I try to export the freshly imported teddy bear s3mb2 file without having made any changes to it, so I doubt it has something to do with my changes to the mesh and rig. I put the error message in the attachment. I recently had a similar export error when I left some vertices unmapped by accident (on version 2.70). Perhaps the s3mb2 export or the Blender import messed up some of the UV assignments? Might be worth checking the UV/Image Editor before exporting from Blender. Own Grandma's Canning Station? Check out the Canning Station Overhaul. Like doing laundry? Check out the Infinite Laundry Buffs Fix. I'm also having trouble getting the the other tools to install. Only MLOD/MODL tools is showing up. I downloaded the 2.70 version of Bender. I am getting this error when I try to install the tools. can anyone help? Soo... everything else works except the geostate editor, which does not export properly. 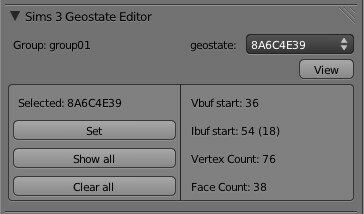 I extensively tested this with every single blender version it says it supports and, geostate editor does not even shows up or import geostates till version 2.67 of blender, but even if it works from then on, it never exports any geostate.